Americans hold many different opinions of the place of religion in public life. Some groups feel that they are not free to express their beliefs, while some people think that other traditions are being forced upon them. Arguments over such topics as the Pledge of Allegiance, school prayer and Bible reading, and holiday celebrations are common today. 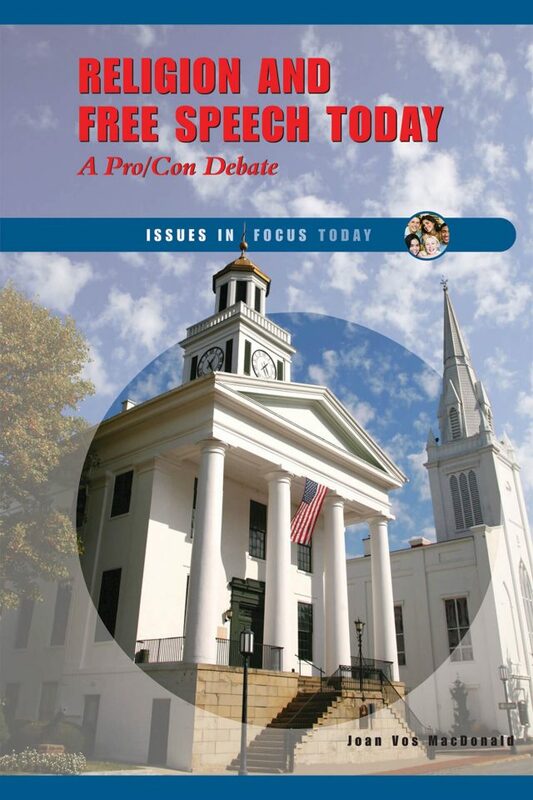 In Religion and Free Speech Today: A Pro/Con Debate, author Joan Vos MacDonald examines the different viewpoints and the constitutional issues involved. She outlines possible points of common ground between the two sides to allow readers to form their own ideas.